As much as your camera and photography skills will affect how your photos turn out – your editing chops play a role as well. Unfortunately many beginners find that part difficult, and struggle to learn how to use editors that are complicated and designed to cater to experienced professionals. Instead of going down that route and ending up frustrated, it would be far better to try a more user-friendly and intuitive option – such as Movavi Photo Editor (https://www.movavi.com/photo-editor.html). 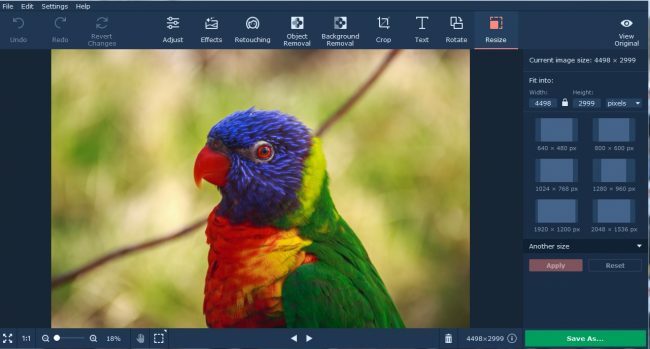 Unlike other photo editors that you may have tried in the past, Movavi Photo Editor will provide you with an intuitive user experience that is easy to grasp and has practically no learning curve. On average you should expect to be able to figure out how any of its features work within a couple of minutes at most. Overall Movavi Photo Editor’s user interface is clean and simple. All of its features are grouped into tabs in the overhead navigation bar, and that should allow you to browse through them and find what you need quickly. On top of that each feature in Movavi Photo Editor is designed so that it won’t require any prior experience in photography or editing. Most are relatively self-explanatory and can be applied with just a few clicks, or by performing other basic actions such as dragging elements into place, adjusting sliders, resizing a frame, and so on. Due to its intuitive approach, the best way to learn how to edit your photos with Movavi Photo Editor is to simply load one into it and start experimenting right from the get go. Enhance the overall quality of your images by fixing the white balance, enriching the colors, fixing any issues, and more. Remove any unwanted objects, people or other elements without leaving any trace behind. Restore old photos that may have been damaged by getting rid of cracks, stains, creases, photo noise, and other problems. Apply a wide range of filters to stylize your photos and give them a unique visual appearance. Add text elements that can be customized to create unique captions, watermarks, titles, and more. Touch up portraits and selfies by smoothening wrinkles, applying digital makeup, whitening teeth, and more. Transform the frame and orientation of photos by cropping, flipping, rotating, resizing or leveling the image. Make no mistake the features listed above are just a selection of the tools that are present in Movavi Photo Editor, but they should help you to see exactly what it is capable of. Suffice to say it will help you to edit your photos in any way that you require – whether it is to fix a small issue, make minor adjustments, or even completely reengineer its frame and composition to suit your needs.